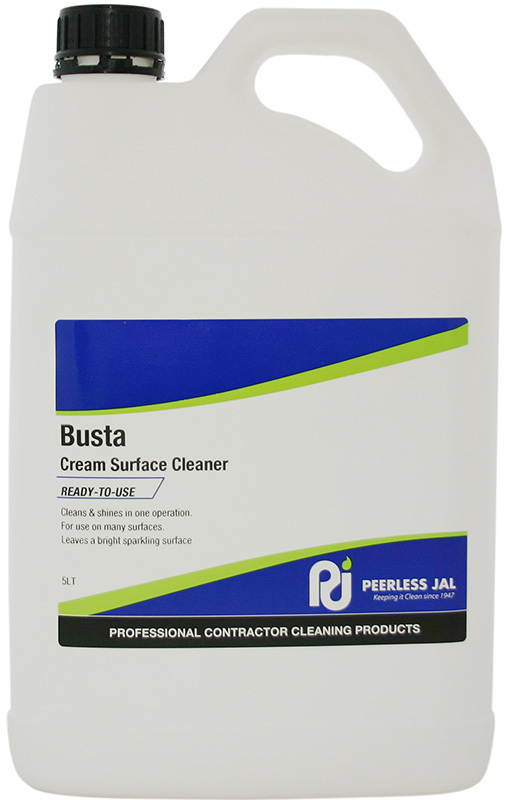 Smooth cream cleaner that brightens and clean stainless steel, chrome, bath, basins, sinks, stoves, porcelain, laminates, vitreous enamel and tiled surfaces. Non scratch formulation. Use undiluted: Apply BUSTA to a damp cloth or sponge and rub surface gently to loosen soil. 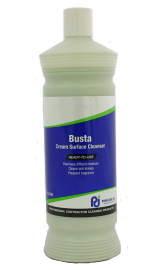 Rinse cloth or sponge and wipe surface clean – For high luster on glass or stainless steel surfaces polish with a soft cloth. Avoid prolonged rubbing on one spot on laminated surfaces. 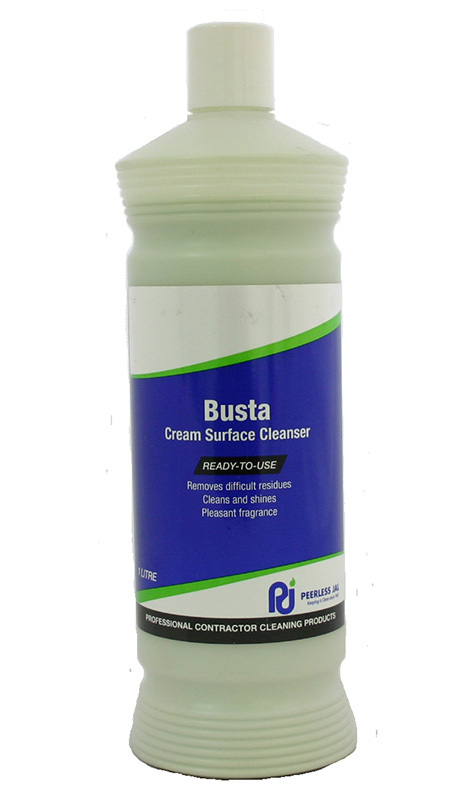 Do NOT mix BUSTA with other Chemical. Swallowed: Do NOT induce vomiting. Give milk or water to dilute. Seek medical advice.